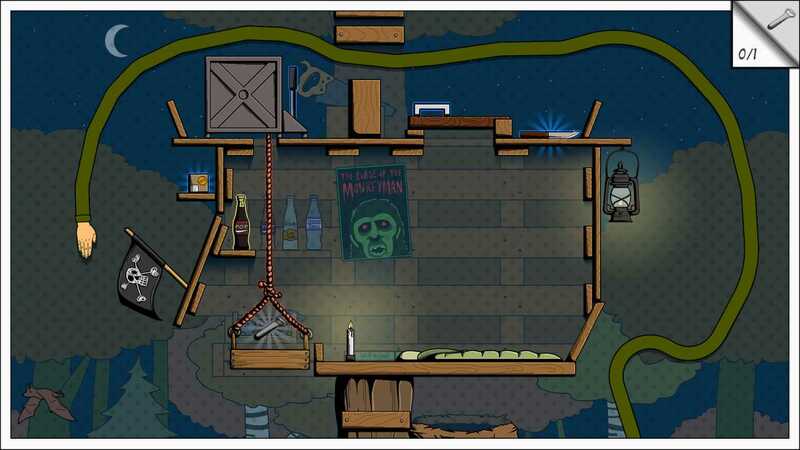 Grab the Bottle is a new kind of a puzzle game in which you solve puzzles by stretching your arm through the level. 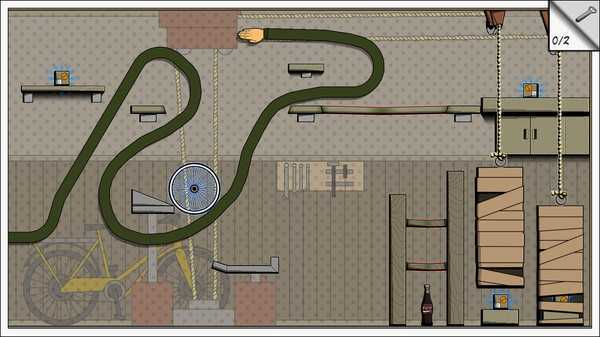 The main mechanic of controlling your hand and arm through the level is inspired by the legendary game Snake, but Grab the Bottle brings physics and puzzles to the mix. 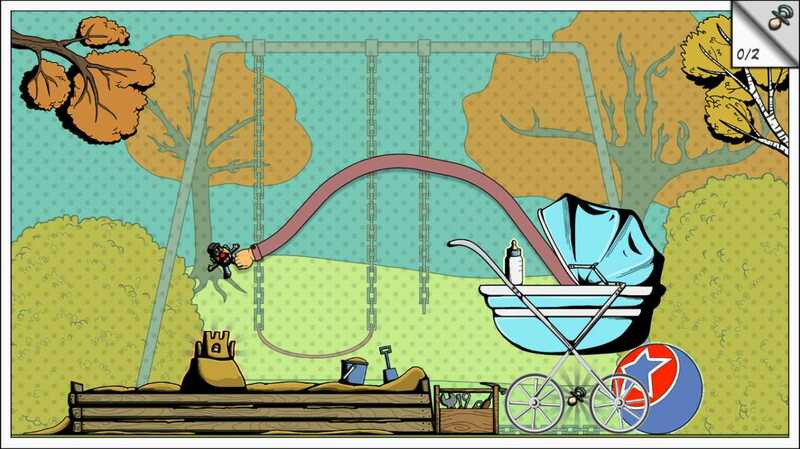 You must grab, pull and drop objects to get to the goal bottle. On the way you will find different kinds of obstacles that need to be dealt with. The story of the game begins in the 50s, somewhere in rural America, where one particularly strong minded baby is taking his first steps and discovers that anything is possible. 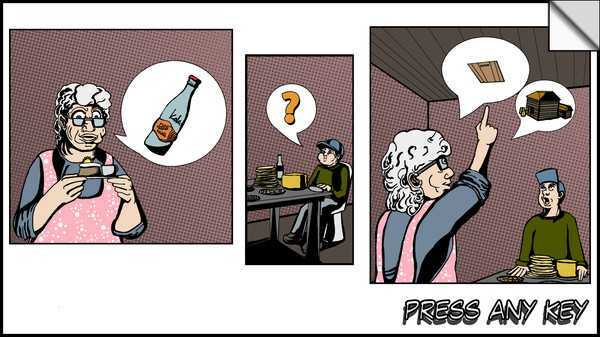 Especially as he seems to have an infinitely stretchy arm.Grab the Bottle follows the life of this boy, from cradle to grave, solving many levels of puzzles inspired by “real life problems” on the way. Central element to the story is the specific graving for bottles the main character has and the scenarios include stuff like finding precious antique bottle from an attic or just grabbing a bottle of cold beer after a hard workday.FeaturesInnovative, new style of puzzle solving Many levels of puzzles for you to solveVintage comic –style graphics We will be later adding a 2-4 player local multiplayer with various fun modes! We will also add Steam achievements & trading cards during the early access. Grab them all! Grab the Bottle is a colorful & innovative story-driven puzzle game, in which you solve puzzles by stretching your arm through the level!